Huge executive home on the grand canal. Perfectly design for entertaining with 3 large balconies overlooking the canal. Private mooring just outside the house available free on request. Will comfortably accommodate 2 families. 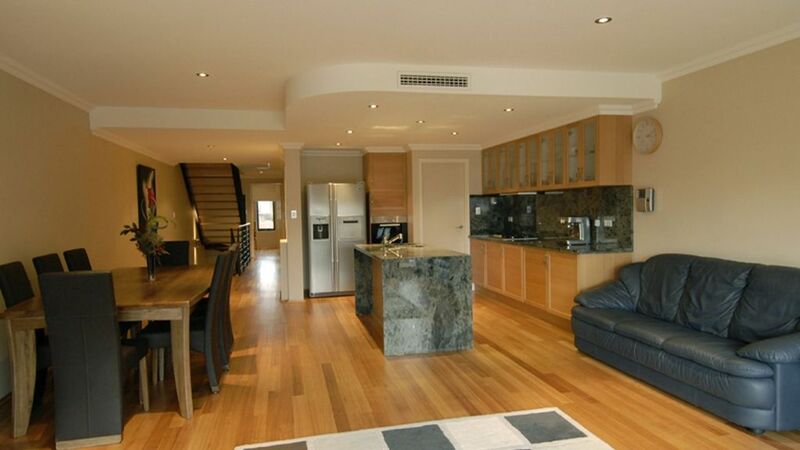 Ideally located on Marco Polo Island, in the heart of the Mandurah ocean marina. NO NEED TO USE CAR !! Bicycles for your use ,cycle track straight from house. Great house to stay with a few families. Property and location kept everyone busy. great to have separate areas for everyone to enjoy. small maintenance jobs need to be done to upkeep the house. I have listed what we found. The balcony doors were a big concern not locking. Balcony doors on 1st & 3rd floor didn't lock which is a bit of a concern when paperwork says if you have kids make sure balcony doors are locked. Balcony door in 2nd level (kitchen) very stick to open and close someone will end up breaking the glass. There was water on the 3rd floor toilet floor not sure if there is a leak. Towel rail in bathroom loose, towel hook on 2nd level in toilet loose. Some lights on the stairs not working or go off when heated up. High chair needs to be upgraded to suit toddlers up to 2 years and with proper harness. Fridge was an eye sore and not a good look when you first take a look, all dented. I do know others that stay at homes that are not theirs don't take a lot of care and it these things are not reported to you, you can't do anything about it. All very minor issues which have been fixed and fortunately would not have spoilt any ones stay !! Fridge is only 5 years old and in perfect working order unfortunately a few dents from children but if replaced with a new fridge within a short period there will be dents again as so many different guests coming and going but certainly wont spoil your stay ! Enjoy the sunset right on the water! Thanks for accommodating us in your beautiful home. It was easy to find, with clear instructions and in a wonderful location. The house is very large and spacious ideal for a family holiday or a casual get away with friends. Perfect for enjoying sunset drinks and nibbles on the balcony. It’s a very short stroll to all the cafes, restaurants and waterfront. Thank you for accommodating us. We saw dolphins in the canal every afternoon. Some facilities are not very well maintained, especially the indoor entertainments facilities. The snooker, table tennis and table soccer are in bad conditions. The WiFi signal is so weak, you can hardly find it at Floor 1-3.